I’d been waiting a long time for this concert, and it really didn’t disappoint at all. I’d been aware of Steven Wilson’s project Porcupine Tree for some time, and attended their concert at the Arena in 2007, but I was never entirely convinced by their particular brand of progressive metal. The progressive part was fine, it was the metal part I had problems with. I’ve never been much of a headbanger, put it that way. So when Wilson put Porcupine Tree on ice and struck out on his own with the Insurgentes LP in 2008, I quickly sat up and took notice. It was a superb album, ranging effortlessly in tone and atmosphere between neo-prog and avant rock and thereby fulfilling pretty much all of the criteria for what I want from rock music at the moment. More importantly, Wilson was finally shedding the vestiges of metal that had taken Porcupine Tree down some stylistic dead ends. 2011’s Grace for Drowning was a worthy follow-up, but it was this year’s magnificent The Raven that Refused to Sing (and Other Stories) that really sealed the deal for me. A collection of long songs with supernatural themes, the record immediately catapulted Wilson into the forefront of my musical consciousness, where he’s remained ever since. The evening started, somewhat unnecessarily I thought, with a film of a busker slowly going about setting up his pitch. The film can’t have lasted more than 15 minutes, but it seemed a lot longer. When the busker finally got going, he was replaced by Wilson himself, kicking off the evening in fine style with a solo acoustic version of the Porcupine Tree song “Trains”. 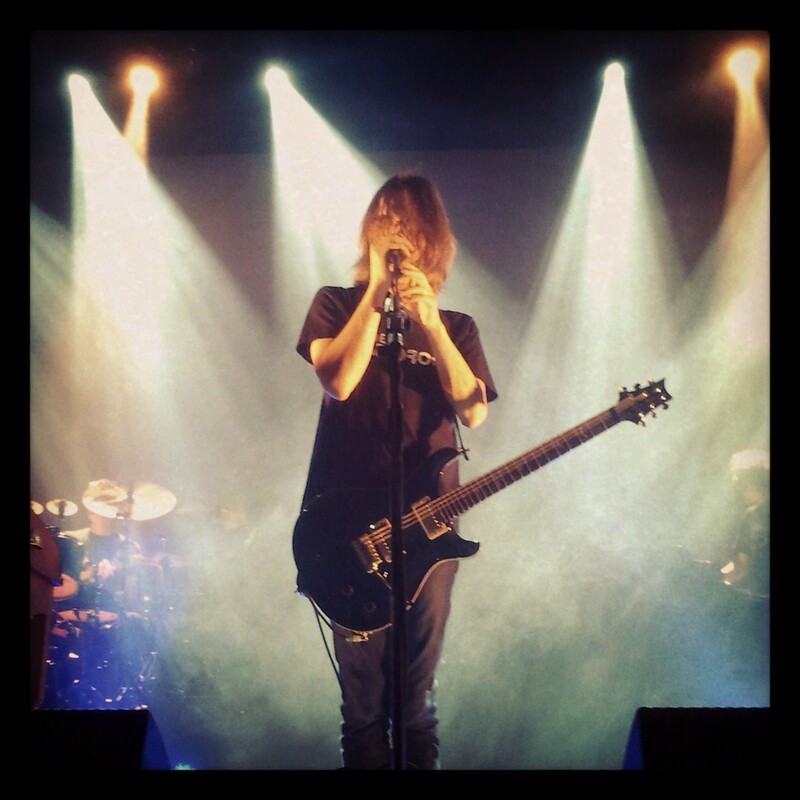 If that was his way of signalling that Wilson in solo mode is not just Porcupine Tree with a different line-up, it was a point that was amply reinforced throughout this gripping concert. Leading his hugely talented band through the demanding territory of his solo music, Wilson proved himself to be a supremely skilled and engaging frontman. Although lead guitar duties were ceded to the unnecessarily hairy Guthrie Govan, Wilson made telling contributions himself on both acoustic and electric. His voice, meanwhile, is a beautifully versatile instrument, utterly lacking in histronics and equally at home with tender ballads and driving rock anthems. Tracing worlds of lost love, false hope and shattered dreams, Wilson’s songs take flight in a thrilling and unique blend of ghostly prog, out-there jazz and angular, discordant rock.